Today, more than ever, marketing executives are being held accountable for driving growth, consumer loyalty, and better business performance. By measuring the direct impact of marketing communications activities, MD Anderson’s marketing team is able to demonstrate how its marketing expenditures are impacting patient decision-making and provide a business case for further investment. 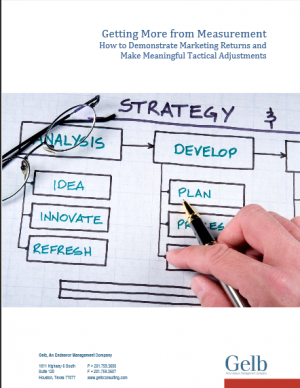 In this paper, we will explore how MD Anderson’s unique strategic objectives drive marketing tactics. For each objective, we will explain how marketing tactics are measured, and how other organizations can apply similar strategies to measure and optimize performance.